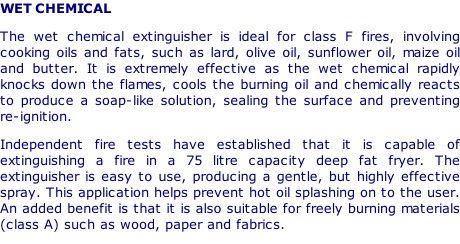 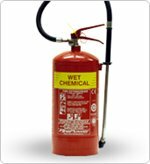 Spray Foam extinguishers provide a fast, powerful means of tackling Class A and B fires (petrol and volatile liquids). 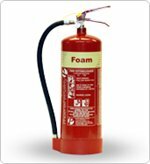 The foam forms a flame-smothering seal over the surface preventing re-ignition. 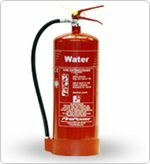 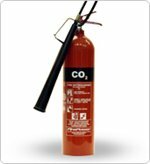 Co2 extinguishers have non-conductive anti-static horns and are suitable for fires involving flammable liquids and electrical hazards. 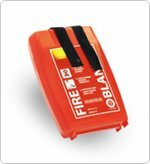 Ideal for modern office environments. 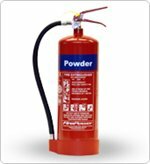 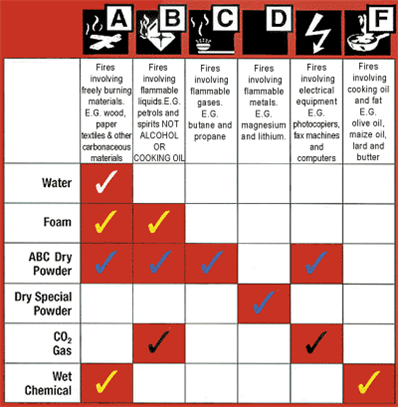 Dry Powder is a highly versatile Class A, B and C fire fighting medium for most fire risks. 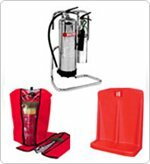 In addition to dealing with electrical hazards, flammable liquids and gases, this range of powder extinguishers is also effective on vehicle fires.